As one of the nation’s leading designers and manufacturers of precision springs, Diamond Wire Spring has been serving the energy and electrical power generation industry since 1939. We offer the highest quality industrial extension springs and electrical compression springs, using phosphor bronze and beryllium copper due to their excellent electrical conductivity characteristics. Diamond has capabilities to hold specifications as close as .008” to .750” wire diameters. Our conical springs are available to service small to high voltage. Cutler-Hammer circuit breaker products are also available. We accommodate orders in quantities from one to thousands. Diamond continuously seeks out better manufacturing techniques, updating our physical plants and our manufacturing equipment to maintain our technological leads on others in the industry. 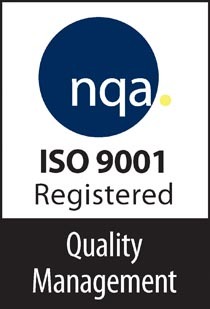 We are an ISO 9001:2008 certified facility and adhere strictly to these guidelines. In addition to prototypes and custom orders, we have an extensive inventory of 11,000 different industrial and electrical springs in stock. We are currently stocking custom springs manufactured for customer release schedules. These schedules include JIT, KANBAN, blanket orders and others. Once a delivery time is determined, Diamond Wire Spring manages your inventory for you. The Diamond Wire Spring team is committed to exceptional customer service. We are a third-generation, privately owned company and strive daily to build upon our reputation of honesty and integrity. With locations in Pittsburg, PA., Taylors, SC. and Tyler, TX, Diamond Wire Spring is here to serve you. Contact our design engineers today to assist in any precision spring challenges for your energy and electric power generation applications.